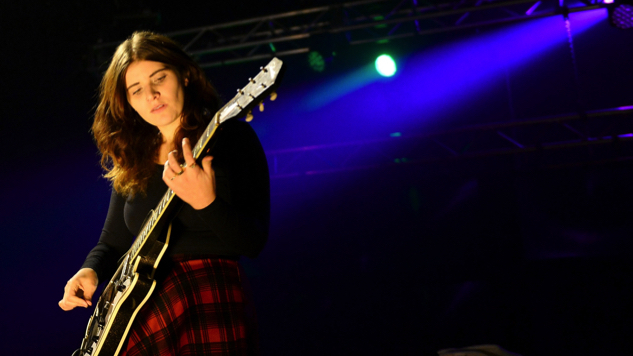 Cosentino, frontwoman of Los Angeles-based Best Coast, collaborated with parody Twitter account @Seinfeld2000 and songwriter Nick Lutsko to record a song as Elaine Benes of the early ‘90s sitcom. Lutsko was responsible for the irreverent “Donald Trump’s Tweets as an Early 2000s Emo Song,” which took the president’s (in)famous tweets and soundbites, and autotuned them into the nasal emo whines beloved by angsty tweens of the early 2000s universally. In a similar fashion, Cosentino sings lyrics solely comprised of Elaine one-liners—well, one-liners and whatever you consider “Yadda, yadda, yadda” to be—set to 1960s bubblegum pop vibes. The combination makes for hilarious results; imagine the Shangri-Las singing about whether a guy is worthy of getting a contraceptive sponge and you pretty much get the idea. Today marks 20 years since the finale of Seinfeld, but as evidenced by this collaboration, nothing stands the test of time quite like, well, nothing. Hear Cosentino’s “Jerry, Maybe We Should Get Married” below, plus Best Coast’s 2011 Daytrotter Session.